Note: If you are interested in attending this event, please RSVP here or select the "Register" button on this page. 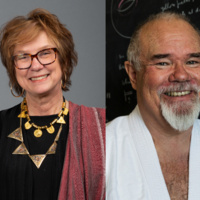 The sixth Faculty Pub Night of the 2018-2019 season features Theresia de Vroom, Professor of English in LMU's Bellarmine College of Liberal Arts, and Michael Berg, Professor of Mathematics in the Frank R. Seaver College of Science and Engineering. De Vroom and Berg will discuss their recent publication, “The Past is a Foreign Country”: Two Eye Witness Accounts of Life in the Japanese Concentration Camps in Occupied Indonesia and the Chaos that Followed, 1942-1949. Students, staff, faculty, alumni, and any members of the public are all invited to the 2018-2019 series of Faculty Pub Night at the William H. Hannon Library. Eight LMU professors (four per semester) are selected annually to discuss their latest publication or project in a comfortable setting and format that welcomes diverse perspectives for an inclusive conversation aimed to educate the entire community. All Faculty Pub Nights are free and open to the public. Pub refreshments and snacks will be served courtesy of the William H. Hannon Library. The Past is a Foreign Country portrays a holocaust of sorts—one not well known outside the community it affected—a community that is now in danger of extinction. The book gives evidence to the internment experience of former colonials, both Dutch, European, and mixed-race, in Indonesia under the Japanese during World War II. Those giving testimony include the unknown writer of a graphic novel; selected cartoons drawn by a boy once interned; an account of another boy's experience in the camps; an account of a young girl's experience living outside the camps; and access to a film that documents life outside the camps. In addition, Berg and de Vroom, whose family members suffered the internment and its aftermath, share their experiences. For more information about this event, contact John Jackson, Head of Outreach & Communications for the William H. Hannon Library, at (310) 338-5234 or john.jackson@lmu.edu.